For today’s dream home we head to Spain and a home that has beautiful views of the Mediterranean Sea. 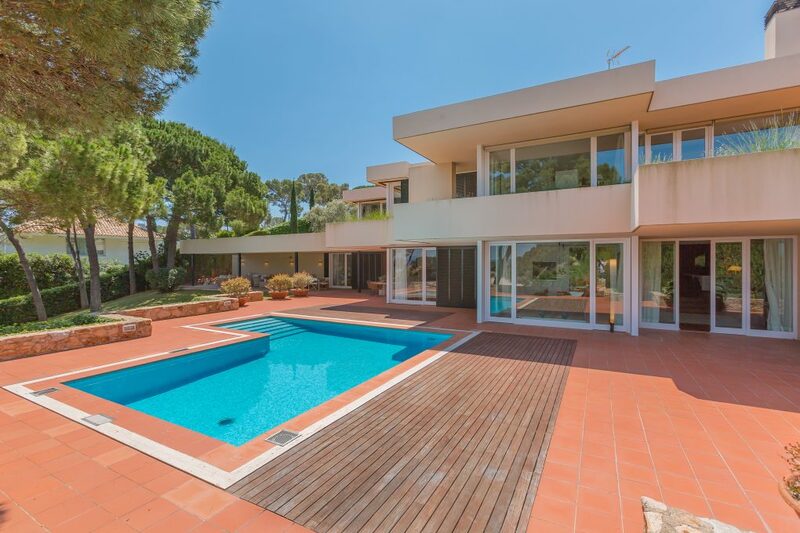 It sits within the charming neighborhood of La Gavina and within one of the most exclusive areas of S’Agaró Vell, straddling the beach of Sa Conca. Since the 1930s, S’Agaró has become a popular vacation destination and the setting for many films and advertisements. Every main room of this architectural home offers a view of the Mediterranean Sea in combination with a terrace or garden that provides access to the beach itself. A spacious courtyard serves to tie together the bespoke architectural elements. Architect Josè Antonio Corderch de Sentmenat first envisioned this project in the 1980s and since its inception, it has become an iconic structure within S’Agaró. 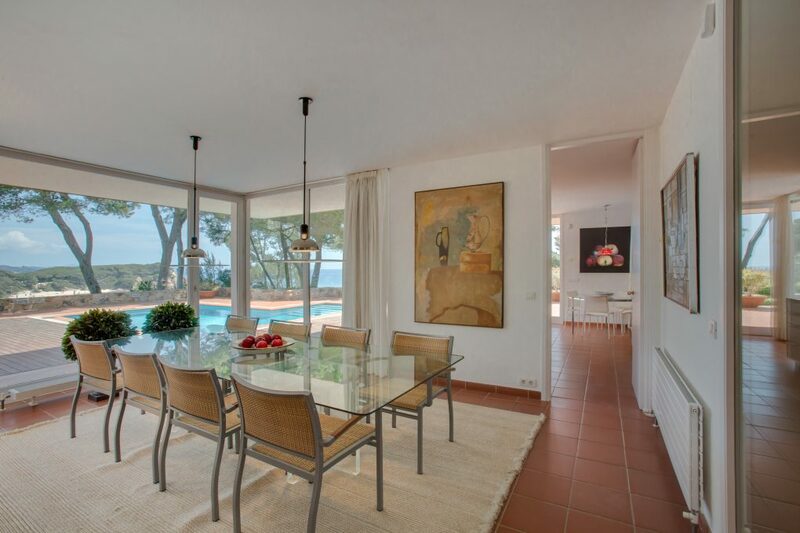 The home is open to the shores of Sa Conca with spacious rooms that offer a personal connection to multi-tiered terraces and verdant gardens. The ground floor is comprised of a laundry room, a guest bathroom, a renovated kitchen, a dining room and two living rooms. The upper floor offers three bedrooms with en-suite bathrooms and private balconies alongside a dressing room, a small office and a bathroom and the first floor boasts three bedrooms as well as a guest room, a bathroom and a living room. Large windows and a fireplace enable the the home to be particularly inviting during the winter months. 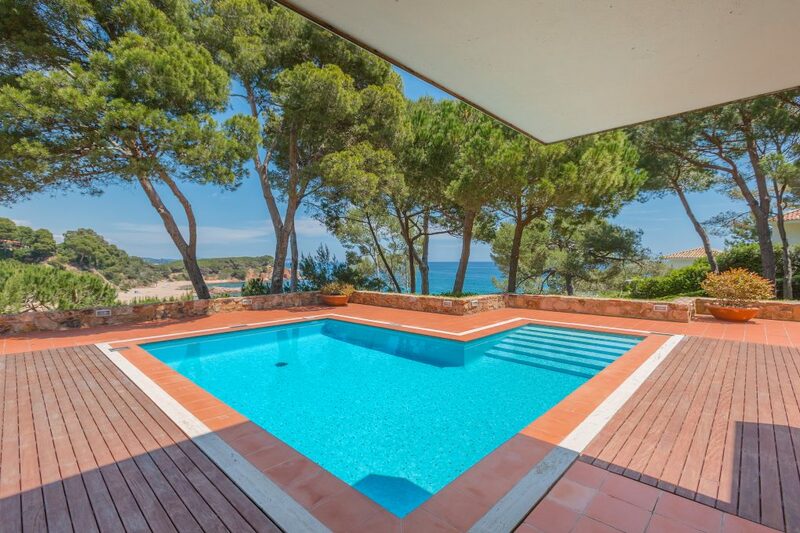 This property is located in a luxury housing development with its own all year round security service, a 5-star luxury hotel called “Hostal de la Gavina”, a Chapel and a semi-private beach, Sa Conca, which can only be accessed on foot or by owners of one of the luxury houses in this development. 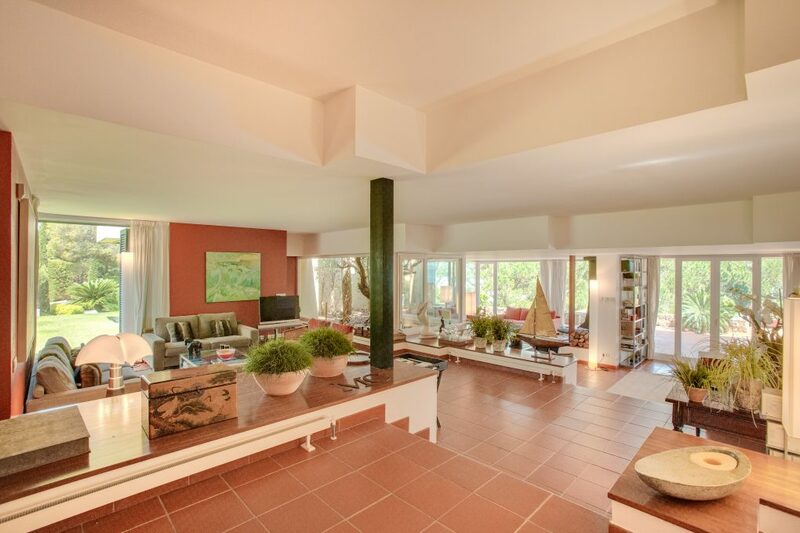 This home is listed by Masó Inmobiliaria and is showcased by Luxury Portfolio.com.